Some experts seem to think so. Others argue that it’s still an effective means of generating leads. But one thing’s for sure—it’s got nothing on warm calling. Warm calling is when you reach out to someone with whom you have had previous contact. They’re already in your CRM database. You know them and, more importantly, they remember being contacted by you. There’s already a tiny sprout of trust. With warm leads, you know they have at least a little bit of interest in working with you. And you have useful data stored in your CRM, like what type of property they were looking at online or whether they have kids. And that’s the second part of warm calling—when you’re reaching out to someone you’ve already connected with, you are able to provide more value. You can offer to show them more properties like the ones they are interested in, let them know which neighborhoods have kid-friendly sidewalks, and so on. Doesn’t this sound way better than calling a list of strangers who don’t know you, and who might have zero interest in buying or selling a home? Warm calling is less intrusive, and it feels way more genuine and human. Read on to learn why warm calling works and how to use your CRM to make it happen! To build a scalable real estate business, you have to put relationships first. Your clients don’t want a salesperson; they’re looking for a trusted advisor. When you’re making calls, you’re not “prospecting” so much as you are reaching back out to people who might need your help and offering them your expertise. According to a report by Keller Center Research, less than 1% of cold calls result in appointments. So drop the cold calls, and start warm calling. Before you get started working with your contacts in your CRM, you need to establish definitions for how you will qualify your leads. Let’s go into more detail on who qualifies as a warm lead. A warm lead is someone you’ve already contacted at some point. Maybe you met briefly while volunteering, or maybe you spoke with them briefly the previous year about buying a home but it never came to fruition. Referrals can also be considered warm leads. You haven’t technically met them, but you’ve been told that they’ll have an interest in talking to you. Someone who showed interest by filling out one of your online forms can also be considered a warm lead...depending on the context. If they filled out your contact form with expressed interest in listing with you, that would be more of a hot lead (score!). But if they filled out a form to view more information about a particular listing on your website, that is a signal that they are warm. Next, make sure you have a system in place for segmenting these different types of leads in your CRM. In addition to segmenting by “temperature,” you might also want to segment by lead source, referrer, price range, target move date, home type, neighborhoods, etc. 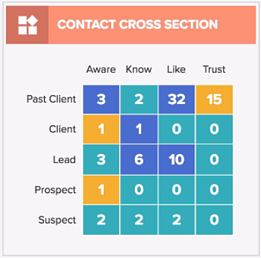 When you assign statuses (suspect, prospect, lead, client, past client) and stages (aware, know, like, trust) to your contacts, this information populates the Contact Cross Section on your Realvolve dashboard. This gives you an overview of who resides where in your database, and how well those relationships are developed. Your leads who know and like you are perfect candidates for a warm call. Introduce yourself and then immediately remind them of how you know each other. Be service-focused. The appointment you’re asking for might end up being the beginning of a transaction for you, but right now it needs to be about listening to their needs, answering questions, and providing as much value as possible. Save these scripts as templates within your CRM so you can use them over and over again. Click here to download a set of warm calling scripts. These aren’t one-off calls you’re making. Each call is just one step in an ongoing relationship-nurturing process. 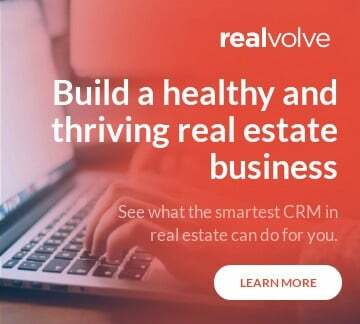 And if you’re using a CRM like Realvolve—and using it to its full potential—every one of your processes should be set up as a workflow. With workflows, you can set up an activity that will remind you to call a contact, provide you with the script, and give you a checklist to mark off during the call so you don’t forget to mention anything. Based on how the call goes, you can move the person to another workflow (maybe they schedule an appointment, and so you put them in a First Appointment workflow that will send them a reminder email, add the appointment to your calendar, and provide you with a checklist for the meeting). Or, if they ask you to follow back up in a few months, you can set a new phone call reminder for yourself. 5) Block out time each day/week for warm calls. Depending on how many calls you need to make, block off a chunk of time each day—or the same day each week—and put 100% of your focus into making your warm calls. Time-blocking will boost your productivity and help you adopt warm calling as a habit. 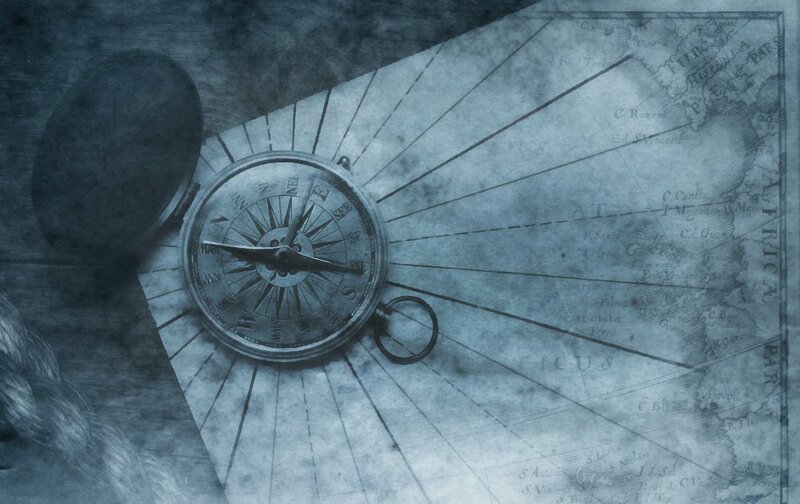 So, what do you think...is it time to leave cold calling in the past? Considering the incredible CRM systems available today—and the functionality to segment contacts, set up reminders, and quickly access call scripts and checklists—it looks like warm calling is the new best practice.